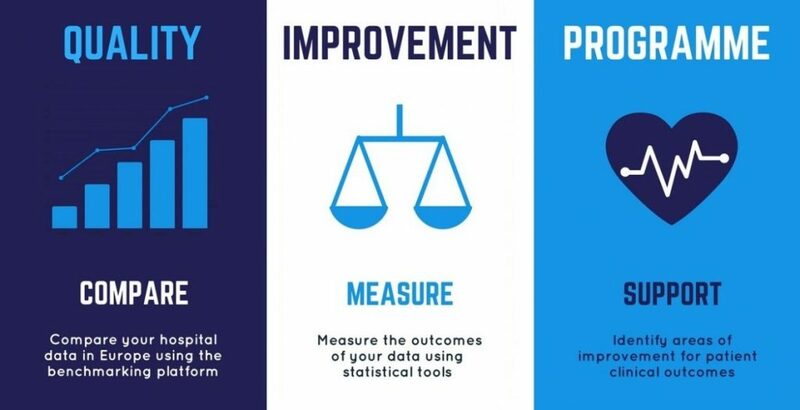 What is the Quality Improvement Programme? EACTS has established a Quality Improvement Programme (QUIP) to encourage improvement of clinical outcomes for patients and to promote the importance of integrating quality improvement initiatives in to daily clinical practice. The Quality Improvement Programme operates two international databases, the Adult Cardiac Database (ACD) and EUROMACS – the European Registry for Patients with Mechanical Circulatory Support. EACTS encourages members to get involved with the Quality Improvement Programme, as your support will lead to more quality improvement projects and will increase the difference we can make to our patients. See more about the Adult Cardiac Database and EUROMACS below. The EACTS Adult Cardiac Database is a collaborative registry of cardiac surgical data from centres across Europe. Hospitals contributing to this database can access the registry and use its bespoke benchmarking features. EUROMACS, the European Registry for Patients with Mechanical Circulatory Support, unites individuals and institutions with the goal of running a European registry for data from patients with mechanical circulatory support systems.